- Morning: You focus on the airport TSN departure procedures to Da Nang. Arrive Danang, pick up and take the delegation to Ba Na, central resort paradise with many attractions, amusement and entertainment services (cost self-sufficiency). 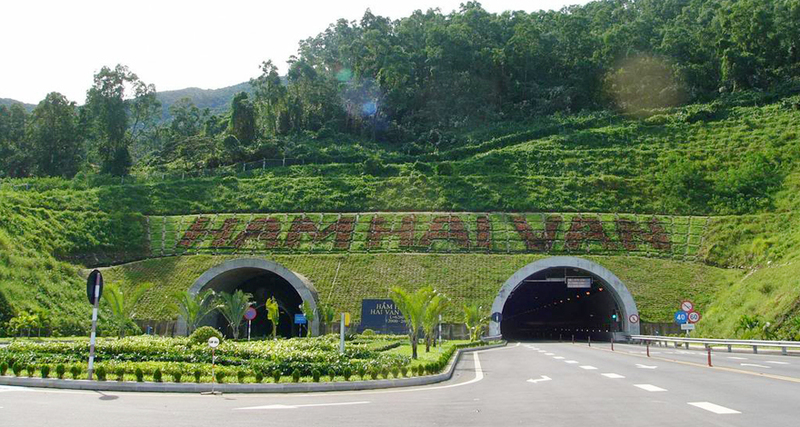 - Afternoon: Return to Danang and depart for Hue along the coastal road leading to Hai Van pass. Stop at the top of the pass, you admire Hai Van best view, pass through Lang Co fishing village, to Hue (Thua Thien Hue province) to the hotel, you check in. 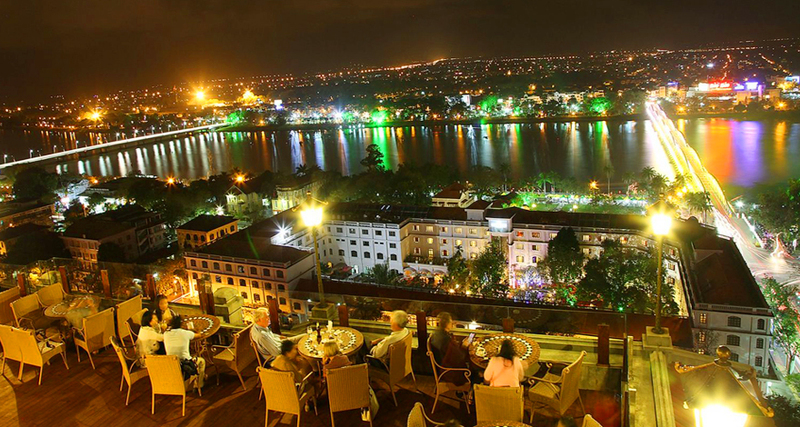 - Evening: Have a walk around the city to discover Co Do at night, enjoy Hue delicacies such as Lac Khoai, Nam Pho, Bun Boo O Bo, Phan Boi Chau ... Overnight in Hue. - Morning: You go to the north bank of Perfume River. Visit Thien Mu Pagoda and visit the Imperial Citadel of Nguyen Dynasty, the ancient palace of 13 Nguyen dynasty rulers with the Imperial Citadel, Ngo Mon Gate, Forbidden City, Thai Hoa Palace, The Temple, Hien Lam, Cuu Dinh ... Travel by tram to visit the Royal Palace Museum of Hue, where display and store more than 8,000 antiques of the ancient Nguyen and Hue. - Afternoon: You go to the south bank of the Perfume River to visit the tomb of King Khai Dinh architecture with monumental exterior as a magnificent Western palace but refined and talented through the interior decorated with electric reliefs Porcelain carvings, decorative motifs and paintings on the ceiling bearing bold Oriental culture. 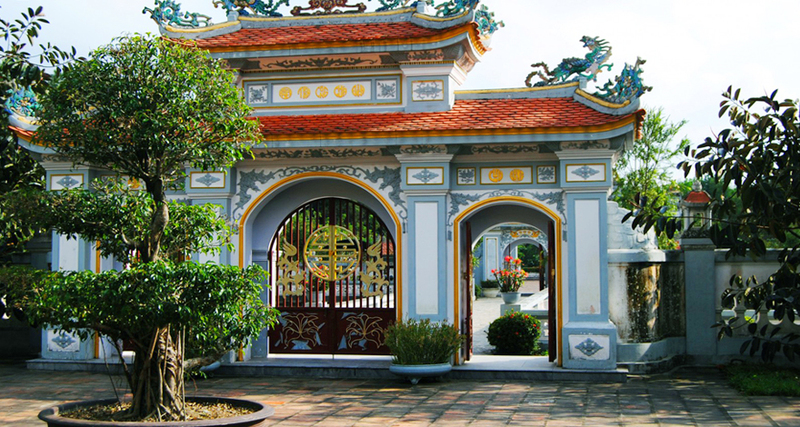 * Journey to the Ancient Capital will take you to visit a special monument that is the Temple of Princess Huyen Tran, daughter of Buddhist monk Tran Nhan Tong, a wonderful tribute who sacrificed himself for peace And the benefits of immature rivers. Coming here, besides you can admire and send your gratitude to the immaculate stage, you can also visit a monument of Hue with traditional architecture: behind Ngu Phong Mountain, The stream of small ponds into Changchun Lake reflects the moon; The internal power of the statue Huyen Tran Cong Lord, post-opera worship gods open water; The backyard is octagonal, the Bodhi Garden, the Truc Lam, the Maitreya, the Shrine, the Goddess, the Hoa Binh bell tower, etc. are all built into a center of spiritual culture. Thien Thai. Leave the car to take you to Dong Ba market to visit and buy souvenirs, specialty Hue. - Evening: Sail on Perfume River. 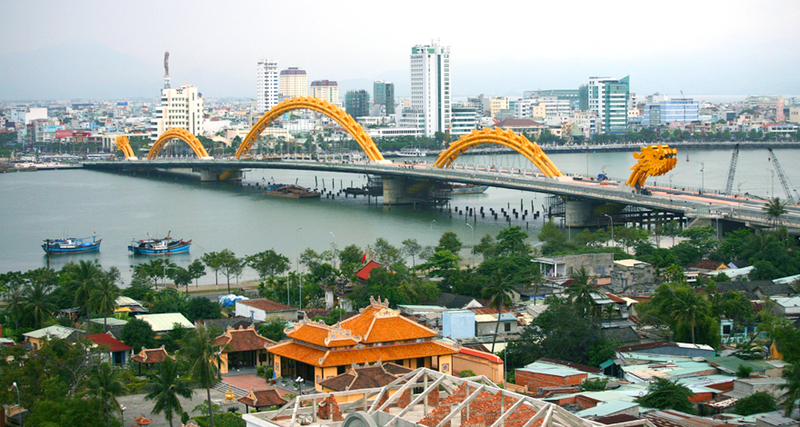 You admire the Trang Tien Bridge, drop flowers on the Perfume River, listen to Hue songs. Overnight in Hue. 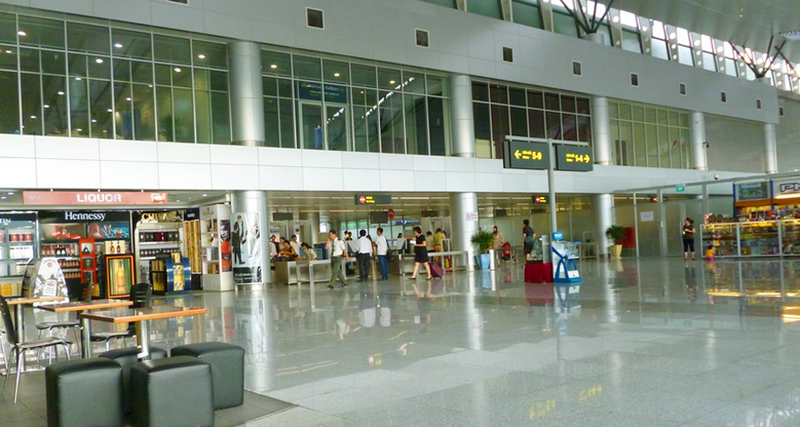 - After check out, leave Hue city, you go to Phu Bai airport or Da Nang airport to return to Saigon. Break up & see you again. - New cars are air-conditioned to pick up guests on the tour, boat trip on the Perfume River Hue. - Hotel: Room 2 guests, with air conditioning, TV, refrigerator, telephone, private toilet. 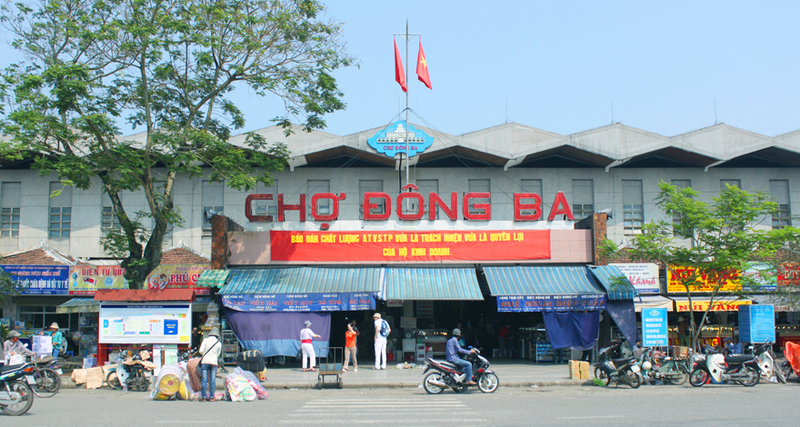 - Da Nang: PHUONG DONG, SAI GON TOURANE, MANGOLIA, PHUONG NAM, BLUE NOW. - Hue: DUY TAN, QUEEN, HERITAGE, NGOC HUONG. - Da Nang: GREEN PLAZA, BRILLIANT, MERCURE, BUDDHA, GOPATEL. - Hue: GREEN, CENTURY, PARK VIEW, HUONG GIANG, BINH THANH. - Eat three meals a day. Breakfast buffet, lunch and dinner are over 4 pieces of rice, which is often changed according to local cuisine. - Tour guide explain and serve the delegation through the route. - Entrance tickets. Gifts, lottery fun bonuses. - Cold towels, water on the road (1 towel, 2 bottles per day). 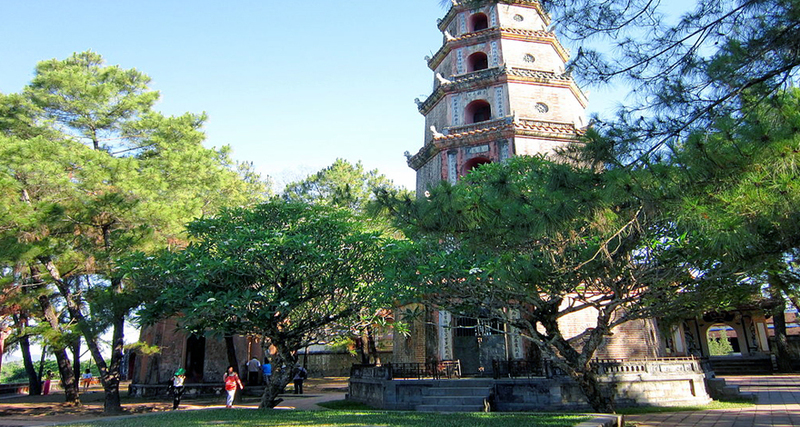 - Fee for joining Ba Na tour, elevator to Ngu Hanh Son. - Eating outside the program, the cost of bathing, personal entertainment. - Children over 12: buy 01 tour ticket. - Children from 02 to 11: buy 1/2 tour ticket. (1/2 tour ticket = 1 seat & 1 meal). - Children under 02: Free of charge. * But 01 child has to come with 02 adults, the second has to buy 1/2 tour ticket. TO BE FREE CONSULTANCY AND PROVIDE SERVICES WITH BEST PRICE. Địa chỉ : 59 / 1 Trần Phú, Phường 4, Quận 5 – Tp.Hồ Chí Minh.